We built an innovative platform to automate regulation and governance to build confidence in risk management. Experienced senior managers from the Financial and Investment Banking industries identified a glaring gap for an automated system for governance and compliance management. 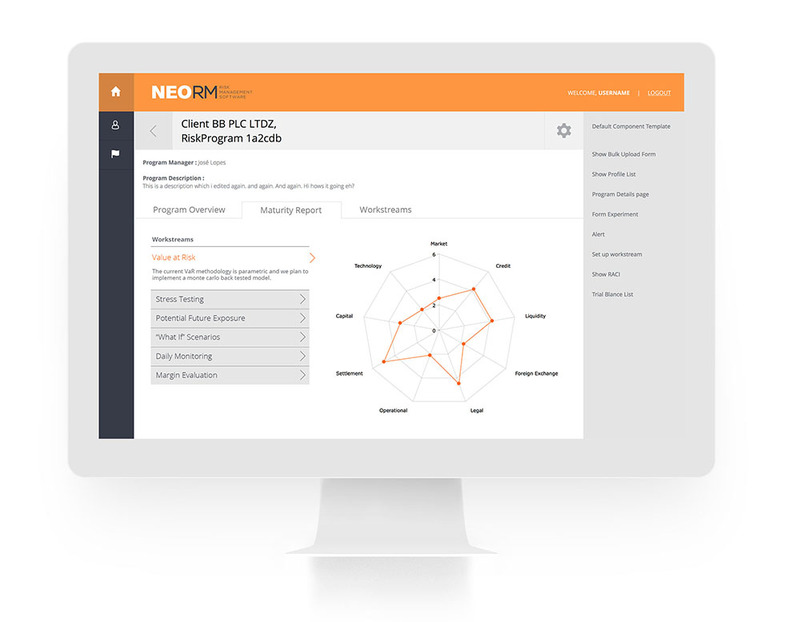 NeoRM were looking for an improved governance platform that was flexible for a range of middle market customers, whose options included: manual spreadsheets that were static and undefined, where knowledge is easily lost with movement of people, or complicated e-tools which analyse data inputted but did not deliver governance or attestation. They realised what was needed was a state of art system that could tell the head of any organisation who was doing what, where the accountability lies and have transparency around the regulatory requirements. NeoRM wanted to build an attestation tool to manage process and workflow. The system needed to be nimble and easy to configure, with high levels of security to satisfy the financial regulations and adaptable to any organisation. The Virtual Forge worked with the founders of NeoRM, Crystal Pennington and Brad Giemza to realise the solution. The Virtual Forge adopted the waterfall model to gather specific requirements in order to clearly define the scope. Once development started this was transferred to the agile methodology, both are models. The Virtual Forge are well versed in. There were high expectations and multiple requirements, and The Virtual Forge worked closely with Crystal and Brad to understand first their high level requirements, concept behind the idea and defining and designing the product from start to finish. This had to be a very special product with complex security levels to meet and exceed industry standards. During the project The Virtual Forge worked as Product Owner, Project Manager and Business Analyst to leverage the team, communicate expectations and explain the requirements and functionalities needed to achieve the maximum quality and spec for the product. The Virtual Forge delivered a platform that is currently being piloted by three reputable alpha clients. Alongside the platform is a front end website which acts as the lead generator for the business, it also has a CMS system that allows the client to update the website. 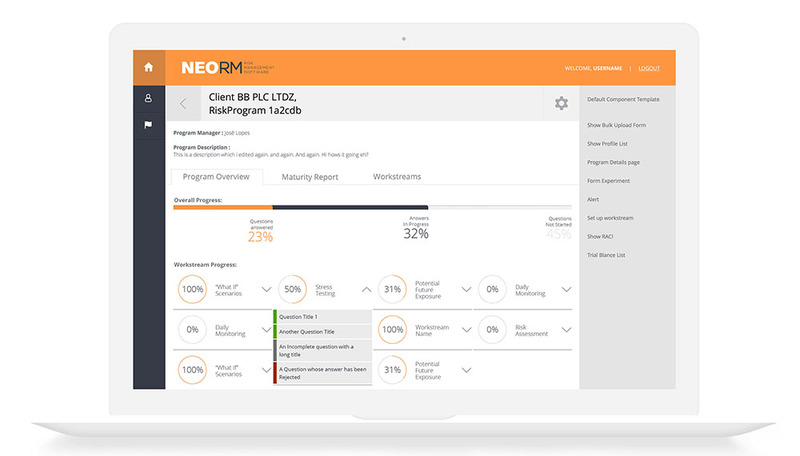 The final NeoRM SaaS platform is an open business intelligence framework which enables responsible parties to detail control procedures, validate governance methodologies and articulate day-to-day activities controlling inherent business risks all while satisfying compliance management requirements. Fast and secure delivery of their platform to users globally. 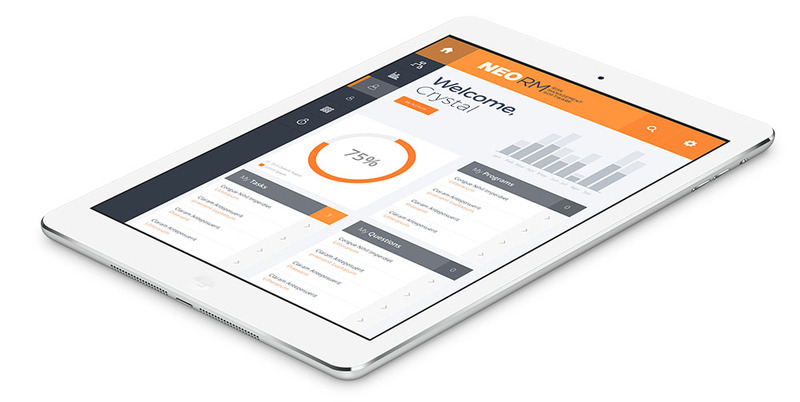 It’s a low cost solution for delivering web applications as NeoRM are only charged for resources used. It’s a solution that grows and shrinks with demand, meaning it can be rapidly expanded at the right time. The platform is delivered with the best possible performance, every single time! AWS is already being used by world leaders such as Netflix who account for one third of internet traffic during peak periods. The product is now being rolled out into the market, primarily to Financial services and the Capital market, then into the Payment Card Industry.